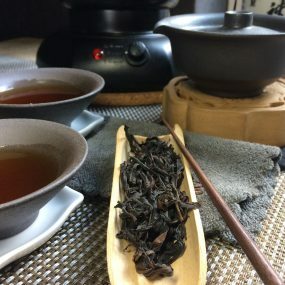 A rare, naturally sweet and fruity oolong from Taiwan, which you can enjoy straightaway or keep as a 'vintage' tea for enjoying in later years. Conceived 30 years ago by a tea master from Nantou, Taiwan, this delectable re-interpretation of Iron Goddess of Mercy oolong tea consists of dense, little nuggets rolled from hand-gathered ‘sparrow tongue’ tea pickings, each with one bud and two supporting leaves. A final roasting and caramelization with branches from the longan fruit tree gives the tea a distinctive, sweet aroma, along with a warm, roasty mellowness and a golden russet-hued liquor. 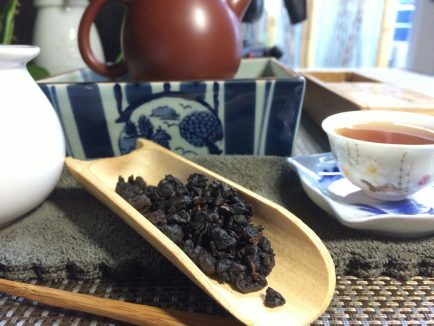 Longan Iron Goddess of Mercy can be placed into storage for vintaging over time but we doubt one can resist drinking this tea instead.